I consider Breath of the Wild one of the “dark” Zelda games. I don’t think it’s gritty, like Twilight Princess tries to be. No, it’s like Majora’s Mask; light in appearance, but heavy in themes and subject-matter, though with these two in particular perhaps “darker” is a better word than just “dark”. Majora’s Mask was, at its core, a story about friendship and connection told through characters who had lost those things, and it also related this theme through stories involving death and healing. For its anniversary, I’d like to talk about what, in my eyes, is Breath of the Wild’s theme — loneliness — and the special characters who I think serve a surprising role eliciting it. Breath of the Wild puts you in the midst of a massive world, but despite filling it with more proper settlements and homes than any other Zelda game, they are spread far apart in a quiet world populated mostly by animals, monsters, and slow, solitary piano notes. It’s a story where all of the key players that Link knew, your friends and allies and mentors, are all dead, except for the one who’s locked away in a seemingly-impenetrable evil stronghold (is it any wonder that journeying to rescue Zelda is marked by the soundtrack’s departure from lonely piano to a veritable anthem?) Even when I did encounter another person on the way to Kakariko Village, they were an equally lonely, concerned soldier who was just glad to have another person to talk to. But the feeling of loneliness did lessen when I reached Kakariko, as I imagine it did for most players upon reaching whichever settlement they first came across. The game didn’t stop feeling lonely for me, however; it just found a different way to make me feel it. People in Kakariko warned me about the Yiga Clan, but it still surprised me when after having a weird conversation with a stranger on a road nearby the village, he said he was going to murder me. But it’s not just a cool surprise: I think that the looming threat of the Yiga Clan throughout the game is an important part of its loneliness. They might be agents of Calamity Ganon, but much more importantly, the Yiga are agents of the game’s central theme, advancing its influence even when one would think it ought to disappear. There are ways you can feel lonely even among people. Anxiety, and distrust — not by any means lighthearted themes — are surefire ways. Breath of the Wild might begin in borderline solitude, but it quickly stops being empty; you’re soon surrounded by travelers and townsfolk, shopkeepers and quest-givers, all a part of Nintendo’s great pursuit to make the game brim with content. 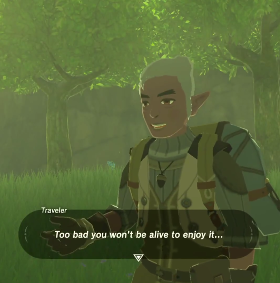 Most games would lose all sense of loneliness, but by injecting enemies among the normal NPCs of the game, enemies who hide in plain sight “disguised” as normal people, Breath of the Wild’s developers manage to relate a sense of isolation not only through actual solitude, but also through paranoia and distrust. It’s not like this result is ironclad; this particular Zelda game is so open that it’s possible to bypass all of the lonely-feeling NPCs before running straight into the outgoing ones or full-on towns, not to mention it’s possible to wind up bypassing most or all Yiga Footsoldiers for long stretches of gameplay, let alone the fact that any individual player might not even find them intimidating enough for them to sow any real feeling of dread. I mean, I didn’t literally feel paranoid about them, because when gaming I tend to be very battle-hungry; even when I suspected someone of being Yiga I usually picked a fight with them anyway, and I would even crack jokes about not trusting certain characters who — sure enough — usually turned out to be assassins. None of that changes the fact that you literally can’t trust all of the NPCs, that normal-looking folk can attack you. Maybe it would have been more intense if it were less predictable which characters were Yiga in disguise, or if the Yiga Footsoldiers themselves were more powerful and dangerous enemies. I might even argue that the Yiga should have had a wider array of enemy variants, much like the multiple colors and weapons of the major monsters, so that at the very least if the player deduced that someone was Yiga, they couldn’t be sure just how much of a threat they were. I don’t even know if Breath of the Wild’s developers truly intended the Yiga this way or not, though I do think they come a bit out of left field as an inclusion to the story and to Zelda lore in general. It’s hard for me to imagine the developers deciding to include them — and making them such a prevalent force in the game — without an explicit purpose for doing so. That doesn’t make it impossible they had no purpose, nor am I necessarily picking up on what their real purpose was if any. But whether it was intentional or not, I argue that they still produce the result I’ve been describing; games and other forms of art can cause unintended effects that are nonetheless direct results of decisions made in their design. One way or another, you still don’t know who to trust. 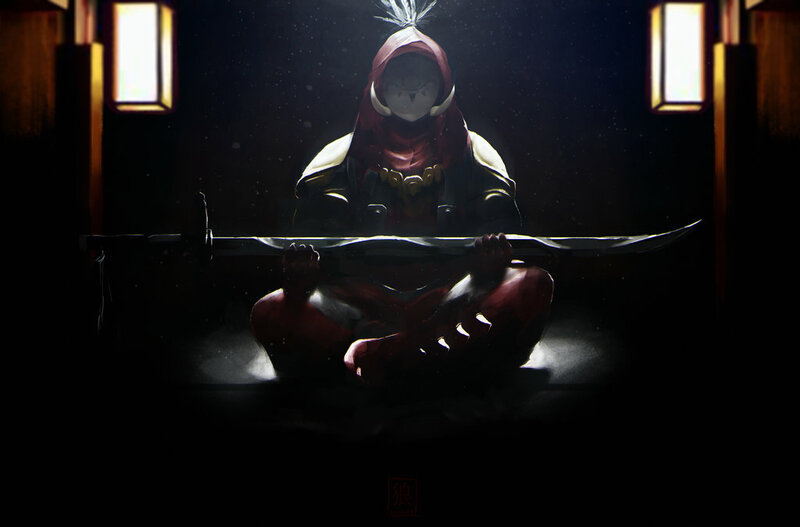 There are other “agents of loneliness”, too, other things in the game besides literal solitude and the paranoia of the Yiga that contribute to a sense of loneliness. The Old Man’s design feels like that of a lonesome wanderer, and his story is literally that of a man alone in the Great Plateau, eking out a living in the wilderness. Many of the characters the player is likely to meet before making it to a town seem strategically designed and placed to feel like lonely or desperate people, from the lonesome bridge guard I met first on my way to Dueling Peaks, to desperate treasure-hunters fighting for their lives by the edge of the Great Plateau, and even a woman in the jungle whose horse — a longtime friend — has died. The post-dungeon sequences of the Champions’ spirits taking position to attack Ganon, alone except for their Divine Beasts, also evoke similar feelings for me. When you think about the game being strongly themed around loneliness, it doesn’t seem as weird that the music that plays in Hyrule Castle isn’t only based on something obvious, like the oft-remixed Hyrule Castle battle march from A Link to the Past, or the sinister (and signature) Ganon theme that originates from the same game. No, the Hyrule Castle theme in Breath of the Wild carries a lot of influence from the signature track of one of the more sombre, introspective games of the series. Maybe even another Zelda game that, when its ending is taken into account, is a pretty lonely game itself. Of course, I’ve been neglecting to mention that these themes don’t really keep going strong throughout the entire game. Eventually the Yiga stop being threatening enemies (or just attack so often that they lose their mystique), and the burly Master Kohga himself sort of drops the ball in spectacular fashion. The darker theme of distrust and paranoia dissipates, and lighthearted fun and just raw adventure take over. At some point, you meet so many friendly people across Hyrule that you just don’t feel alone anymore. Eventually you make peace with the destruction of Hyrule through actively planning to restore it, you overcome the loss of your friends by putting their souls to rest and making new ones, and your loneliness is banished. Breath of the Wild takes after Majora’s Mask in other ways, after all: Majora’s Mask is not just about lost friendship or death, it’s also about finding new friends and giving people peace. In the same way, Breath of the Wild isn’t just about loneliness, because loneliness is a void that must be filled, and fill it you do. Like its thematic, tonal predecessor, it is a game about relieving past loss and failure, so it’s fitting that the game never stays totally lonely. 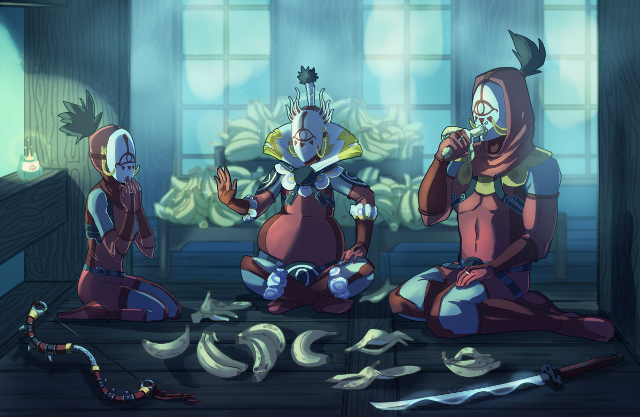 Maybe it’s also fitting that the sinister nature of the Yiga shatters upon finding out that their leader is a ridiculous, pathetic, and very possibly sad and lonely man himself, for after all the Yiga seem like hostile and egotistical zealots while the traditional Sheikah of Kakariko are humble and happy. Axle “the Beast” Wilder is a long-time writer and video-creator at Zelda Dungeon. Follow him on Twitter, Facebook, or his homepage. Header fan-art by Jiangxhi. Footer fan-art by Kittermew.